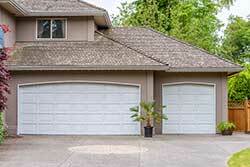 Security Garage Doors has operated in Seattle, WA area for well over a decade. We have provided service to countless residential homes and commercial buildings over the years. Our team is comprised of professionals who have worked on all kinds of garage doors – big, small or custom jobs with custom parts. We provide maintenance and repair service, and also perform garage door installs. We believe in keeping up with the latest trends and technology updates in the industry and ensure our team is given constant training to help them in the field. We are available for our customers 24 hours a day, 7 days a week. Security Garage Doors operates a reliable, effective and friendly service that believes in giving you value for money service. We have fixed all kinds of garage door related problems during our time in the field and we’ll probably be able to fix yours in no time. Garage doors often have complicated opening mechanisms, which require regular maintenance and repair. Some garage doors also need weatherstripping to prevent moisture from seeping in. Performing all the maintenance and repair tasks yourself is not recommended because it’s easy to cause damage to your garage door’s operation mechanism by incorrect handling. You may also end up injuring yourself. It’s better to invest in a professional service like that provided by Security Garage Doors and save money in the long run by prolonging the life of your door. We provide a range of services for our customers in the Seattle, WA area. Not only do we install new garage doors, we also repair and maintain old ones. We have extensive knowledge of both residential and commercial garage doors – the latter requires more maintenance than the former. We will replace or repair your damaged garage door cables, springs and even help you build a custom garage door for your new home. We can also help you link your garage door to your automated smart home system. Our services strive to keep your garage door functioning smoothly for years on end. Look no further than Security Garage Doors for your garage door service needs. Our team is well equipped to deal with all kinds of garage door problems. They have years of experience under their belt and they are also equipped with the right tools for the trade. You can discuss your problem in detail with our experts and have a working solution handed to you in a short time. You can contact us at 206-900-8831 and avail of our reliable, friendly and cost-effective service.